As I've already shared with you, we have sold our house in Dallas and moved out to the country. And with moving comes packing and with packing comes UNpacking. The only fun thing about unpacking is finding some things you forgot you had. Like this paper. I had bought a few sheets of fairy princess paper (no doubt with some project in mind), but had never used it. So I die cut one of the princesses, added some mats and a few rub ons and started liking it. 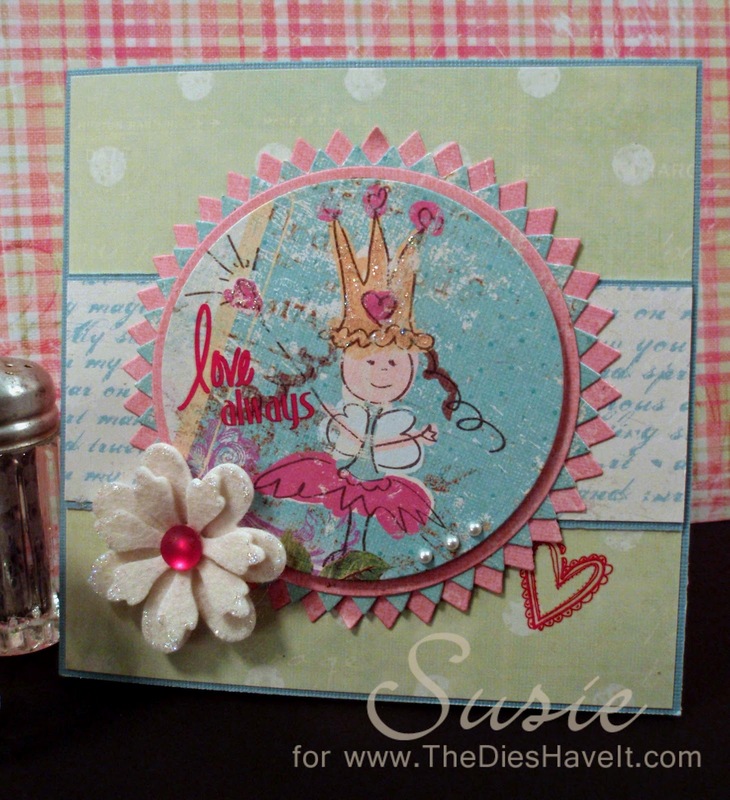 Once I added the die cut flower from MFT Stamps, I knew I had a winner! I already know where this valentine is going too. I hope this little cutie brings a smile to your face. I've got another valentine to share with you tomorrow. I hope you'll be back then.